Science is here to explain why we fast on Vaikunta Ekadasi day. That’s right! While it is a popular opinion that most of the rituals followed in Hinduism is based on blind belief, the solid explanation that science provides for each one of those rituals challenges that very opinion. The previous post spoke about the spiritual importance of Vaikunta Ekadasi, in the Tamil month of Margazhi (Read Why can’t we eat rice on Vaikunta Ekadasi? ), but this post will explain the scientific reason behind the fast that is so religiously followed on this day. 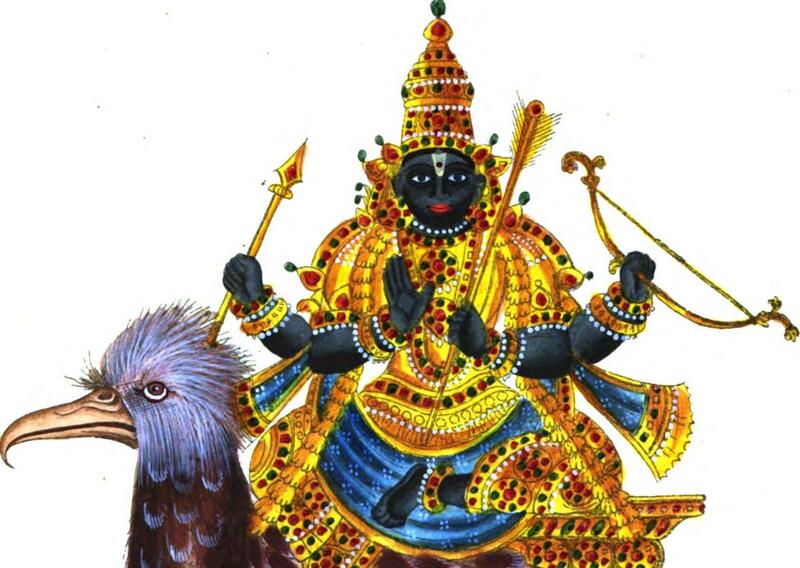 Vaikunta Ekadasi falls on the Tamil month of Margazhi, a time known as Winter Solstice, where the air is richer in ozone. This is the reason why people wake up really early especially during this month, to absorb the goodness our atmosphere offers. During the full moon or the new moon day, the pressure of the air changes rapidly due to the formation of the paths of the Sun, Moon and the Earth, in their respective orbits. While fasting on a normal day, one faces the atmosphere pressure adding on to the strain he already faces due to fasting. On the day of Vaikunta Ekadasi, however, the air pressure aids the person who fasts, making it a whole lot easier for him to observe the fast. The spiritual explanation for fasting on this auspicious day, is to keep the person’s mind free from any other ill thoughts, thereby focusing him to pray only on the Lord. Fasting also provides some rest to our digestive organs that work day in and day out. Fasting is more of a cleansing ritual that we can undertake for our own health. If we do have fruits and water on the day that we fast, it only serves to flush out harmful toxins from our body. While we fast on Ekadasi days, on Dwadasi (the next day) it is recommended that we eat something light, maybe fruits like gooseberry and turkey berry, to help our body flush out accumulated toxins and to regulate our blood circulation, thereby giving us more strength. This is the reason behind the belief that whoever fasts on this day, will live a longer life than their counterparts. This scientific explanation clearly goes on to prove that Hinduism is not all about blind faith and one can marvel at the forethought of our ancestors, who have come up with such rituals with such solid backing, at a time when people were just learning about the world around them. 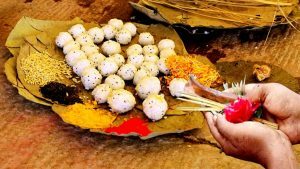 Why can’t we eat rice on Vaikunta Ekadasi? What is the significance of the holy herb basil Why do we offer food to God before eating it? Why do we offer food to the crows? 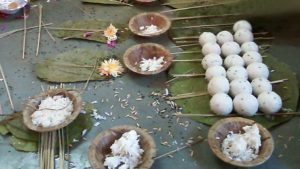 Why can’t we eat rice on Vaikunta Ekadasi?